NOTE: This session ONLY includes Adobe Premiere. 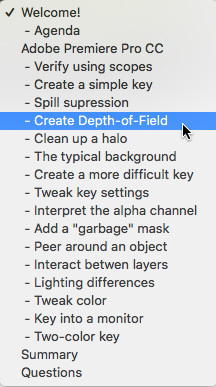 Click here for the session on Final Cut Pro X.
Green-screen keys are increasingly essential in even the smallest projects. In about half-an-hour, you’ll know how they work. This is an intermediate-level session. 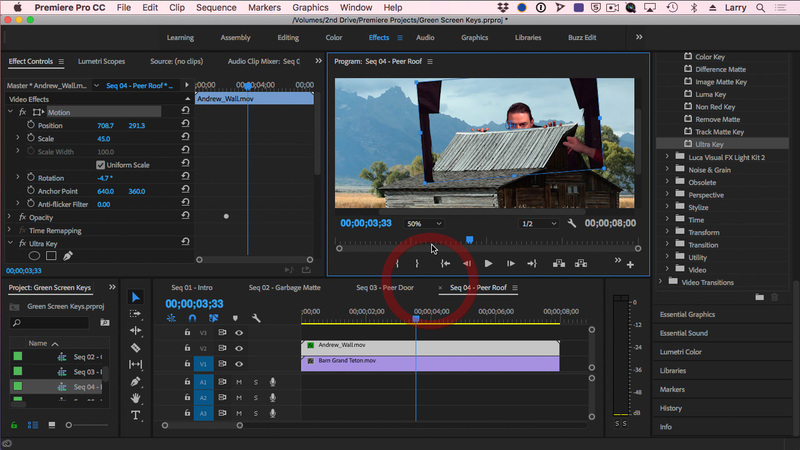 Some knowledge of Adobe Premiere will be helpful in understanding how the new features work. All you need to view this session is a web browser.